Fill out the form to the right to receive your Free, No Obligation Rental Analysis or email marketing@aplacelikehome.com. 1) Does the Property Manager Specialize in Management? Property management requires a full time effort to provide investors the best results in the financial outcome of the managed assets. Specializing improves focus. Some property managers seek listings to manage, to result in a sales listing later. Short term management thinking will not provide ideal long term results of your investment. The best managers think long term, so decisions and processes are built around holding the asset not selling. Sales brokerages and management brokerages can have competing priorities that may impact the outcome of your investment assets. By specializing in property management, managers are better able to train and equip company resources to the specific mission of managing properties. When committed to a single mission using a laser focus, more effort is directed toward the issues that face day-to-day management of your rental property. Is your prospective manager focused? 2) Does the Property Manager Have Experience? Property management requires experience to excel in the many varied aspects of the property and human dynamics associated with the best property management practices. Many managers are relatively new to the business, so make sure you are comfortable with the experience offered by your prospective manager. The number of managers has doubled in as many years, with many lacking the experience needed for an optimum outcome of your real estate investment. Many management franchises have opened recently with experience in other markets but new to the area, make sure they have the local experience needed for your success. Many managers lack “door years” (# of doors managed multiplied by the years managed) of management needed to have experienced the many types of situations that arise in the management of rental property. More door years provides more experiences that help teach management teams the best approach at reconciling conflict and one-off circumstances that arise in property management. How many door years of experience does your prospective manager have? 3) Is the Property Manager Licensed? Property management requires familiarity with federal, state, and county laws and real estate regulations. Licensing provides on-going continuing education to keep the manager up to date on the newest requirements to protect your investment. Licensing requires standards for accounting that are audited by the respective state, which helps insure the safe keeping of funds held by the manager on your behalf. Licensing provides a resource for resolving a dispute of a licensee through the state agency that issues the license. Licensing does not make a good manager but a non-licensed manager is often times breaking the law by performing management in a state that requires it, and you are left with no regulatory oversight. Is your prospective manager licensed? 4) Does the Property Manager Have an Investment in the Business? Property management can be run from the kitchen table and often is, but that is not a good sign of commitment (investment) to the long term continuation of business. Property managers that make the commitment to operate in a commercial facility are more likely to be around for the long term. A commercial office does not make a good property manager, but a manager in a virtual operating mode has less invested, therefore less likely to invest the needed resources for the positive outcomes for your real estate assets. The best managers make an investment in location, tools, processes, and systems to provide good outcomes. A commercial business location is important for tenant and owner meetings at important moments of the transaction. You should have the ability to visit and review the facility, and systems investment made by the manager. Is your prospective manager invested? 5) Does the Property Manager Operate with Vetted Resources? The best property management requires experience and resources to bring about the best outcomes at an affordable price to meet your investment objectives. Resources that are vetted for quality, insurance, and employment practices is a must to reduce your potential liability. As a property owner, you are at risk if substandard vendors are dispatched to your property and something happens that causes an accident, or worse, harm to a tenant. Understand the resources you have available, and ask if these resources have liability and workman’s compensation insurance. Do these resources offer a warranty and do you have the right to use your own resources if you like? Is your potential manager insured? Ask for a certificate of insurance to make sure both the vendors deployed and the manager’s staff have the right coverages in place to protect you and your assets. Does your prospective manager vet his vendors; can he pass the same test? 6) Does the Property Manager Use Third Party Accounting Systems and CPA Reviews? In managing your property assets, managers should use the best and most proven and widely accepted software because of the complicated third party relationship between you the owner, the property manager, and tenant. Third party management is a complicated accounting enterprise, and many basic accounting systems do not adequately accommodate for this complexity. There are only a small number of these systems deemed as best of breed for this complicated accounting process, so be sure you do your research and inquire of your prospective manager. The best property managers use third party CPA firms to regularly audit and review monthly and annual bank reconciliations and accounting practices. State laws require very specific processes for the management of other people’s money, and the accounting of your money on your behalf. The best practices require that security deposits and operating funds be isolated from company funds, and that all accounts are in balance every month. Some property managers don’t follow these strict standards which increases the likelihood of your funds being at risk. This is an often over looked review of the manager’s ability to provide secured results for your assets. Does your prospective manager use third party accounting regularly reviewed by a CPA? 7) Does the Property Manager Provide Transactional Transparency? The best property managers provide their clients an open book of transparency in all that is performed on behalf of you, the client. Manager’s deploying best of breed software can provide online portal information, but not all managers exercise these portals for the intended purpose of giving their clients access to information. The best practices for information availability includes; tenant rent receipts, rent rolls, rent receivables aging, work requests, tenant leases, notices, owner statements, and more. The best systems can optionally send out real time notices when rents are received, work order requests received, vacate notices, lease renewals, and more. The best managers use emails as a means of communications to have a written record of events that can be reviewed by you, the property owner, in the event of issues that require a historical accounting of activities and communications. The best managers have a discipline of archiving all communications for seven years in a tool that indexes every email from all parties involved in the transaction. Ask your prospective manager to show you the reports and tools you can access to get a view of the activities being managed. Does your prospective manager offer robust transactional transparency? 8) Does the Property Manager Promote Strategies of Wealth Building with Your Property Assets? Managing property and managing property to build wealth can differ in the focus and tools that are deployed. A wealth building strategy is one where the property manager understands the dynamics of the demographics of where the property asset is located and the potential tenants that will be attracted to that location. The old saying in real estate, “Location, Location, Location,” reflects the assertion that the location and the neighborhood impact the property performance and value. Understanding how these dynamics work and the tactics to optimize performance takes art, science, and data. Understanding specific demographic dynamics and quantifying the risk associated with those neighborhood characteristics is critical to long term success and building of wealth. Can your potential property manager report what to expect from the neighborhood, with real time data? Can you review potential rents, quantified using real time data? Some managers will quote higher than realistic rental value to promote what appears to be better potential, only to find after protracted marketing that those numbers do not match reality. The best property managers realize that results don’t just happen; a strategy for management should be implemented and reviewed with you, so you better understand the risks associated with your property location and the tactics that should be implemented. Does your prospective manager promote and follow wealth building strategies? 9) Does the Property Manager Systematically Review and Accept Only the Best Tenants? The number one factor in the success and failure of residential rental results is tenant quality. Consistent tenant quality placement is an art and science. Pre-screenings should be employed to minimize exposing your property to non-qualified applicants. If the prospective tenant passes a high-level prescreen, then a complete examination should be processed and documented to produce quality tenants. Tenant quality is defined as the ability of the prospective tenant to consistently make timely rent payments supported by history, and no negative attributes that indicate behavior that creates risk for the tenancy. Discriminating tenant acceptance requires very specific standards that must be objectively met to eliminate any chance of discrimination. Validation and verification of all information must be exhaustively executed real-time to avoid fraud and confirmation that tenant inputs are accurately portrayed. The best managers perform exhaustive screening and validation processes to insure your property is occupied with a qualified tenant that matches the expected standards established at the beginning of the marketing effort. Using analytical scoring models for the tenant acceptance and analytical scoring values for the property, allows a match of tenant to property without committing a discriminatory act. The best managers have fewer evictions and higher timely collection results than those that fail to heighten the importance of this critical process. Many managers rely on third party low-cost screening firms to provide this important function often resulting in less than desirable results. The best managers are comfortable spending many times the typical cost of screening to eliminate negative experiences and the drama associated with poor quality tenants. When investigating prospective managers, understand their process; is-it-discriminating-without- committing-discrimination, objective, analytical, well documented with all tenant inputs validated? Is the process followed religiously with no subjective interpretations? If you want the best tenants, you must have the best screening systems to achieve results better than the norm. Does your prospective manager have a “Best Tenants” approach to tenant acceptance? 10) Does the Property Manager Line Up with Your Goals and Objectives? When you decide to turn over your property asset to a manager, you should conduct a face to face interview with a principle of the company. Ask questions like many of these offered above. Others to consider; marketing plans for vacant property; how many websites expose your property listing; quality of photos used on the web; move out process, renewal process; collections process; sample of inspections performed; employee training; dispute management; quality of tenant lease; documentation of all processes; competitive rates (to be discussed below); keys management and property security; reporting formats; document and records management; archival of tenant communications; network and data security; consistency and timing of owner disbursements; size of company and number of employees; areas of provided service, and more. There are many issues to consider, with the biggest being “can you trust your candidate with your investment?” Does your candidate exhibit passion in what he or she does? Check the Better Business Bureau and read online reviews. Remember online reviews are often reflective of the property manager upholding your interests while disappointing the tenant who then writes a damning review of the manager. Does the manager offer a well written contract, was he timely in his response to your inquiry, do you believe they exhibit the experience to entrust your property asset? Lastly, most inquiries of property managers include fees and pricing. The total cost of management service is the cost of the fees charged plus or minus the financial outcome you realize with your investment. The manager that provides the best results generally provides the best value. Low fees with poor results will cost many times the perceived savings of lower fees. The lowest fee is the manager with the best results. The best managers offer competitive rates and the best results, making the fees a lessor important consideration. Confirm best management practices likely to produce good results in making your decision and if all else is equal chose the most competitive fees. Remember the best overall value is balance of performance results and fees. Does your prospective manager line up with your goals? Are you interested in Professional Property Management Services? Oz Accommodations specializes in residential investment property management. We are licensed in both Kansas and Missouri insuring the highest level of oversight. Managing property since 1992, we have made a science of perfecting processes, and measuring results to insure optimum outcomes for our clients. Our proven practices provide results you can count on to give you the biggest return on your rental property investment. If you looking to add a property to your holdings, we can provide consulting resources prior to purchase of a potential investment property. Oz Accommodations competitively priced fees, facilitates investment goals of keeping costs in line for long term results. We do not charge up-front fees or require reserves while providing accepted accounting practices for the assets we oversee. We are transparent and provide you a looking glass into the management of your asset in terms of costs and information. We offer affordable and fast maintenance, with the option of owner-provided maintenance if desired. Our services include: screening potential viewers prior to property tour, thorough application processing, preparing and executing leases, collecting security deposit and monthly rents, enforcing leases, inspecting properties upon move-out, processing deposits, handling maintenance requests, and executing evictions. We do not list or sell homes, but can provide resources and in assisting you with our Rent 2 Own service when applicable. We practice fair housing religiously to ensure you are not exposed to liability, and maintain a high ethical standard in all we do. Why Should You Choose OZ Accommodations, Inc.? Oz Accommodations, Inc. is proud to have served owners of residential real estate management since 1992. We have established ourselves as the best resource for investors and home owners seeking management. We offer fair and competitive rates while providing excellent customer service via our friendly, professional management team. Oz has an A+ Rating with the Better Business Bureau. Oz Accommodations is a member of NARPM, National Association of Residential Property Managers, and our Broker serves on the Board of Directors of the Local NARPM Chapter. Members of NARPM maintain a high level of professionalism and ethics of the services rendered to their clients. Members of NARPM have a huge array of resources available to help members fulfil the best practices of property management. Top 5 Reasons to Choose Oz Accommodations, Inc. Experience: Over 20 years of perfected systems and processes related to managing rental investments in the greater Olathe area; licensed in both KS and MO. 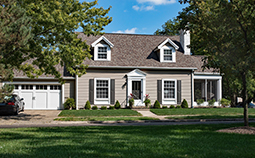 Great Low Rates: Our fees are reasonable and fair and fall well within the median of property management firms offering service in the Olathe area. The real cost of property management are the results rendered to you as the client. Consistent good results are what we deliver over time. An Investment Mindset: We focus on your property as an investment asset and do everything possible for producing excellent long term positive outcomes. We use an innovative, competitive, analytical tenant selection process to ensure quality residents are found for your rental investment. 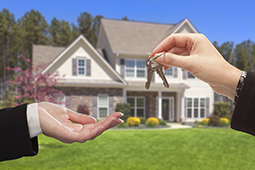 We score tenants insuring that only the best tenants are placed in our client’s properties. See Applicant Screening Process on our website. Transparency: Information is available to our owners in as much or as little as desired. During marketing results are published weekly. Every month a third party CPA firm reconciles and reviews the accounts we manage. All invoices, statements and information is available on our owner portal for your review 24/7/365. When you entrust your property asset with a property manager, this should be the minimum you expect. Leasing Guarantee: Our commitment is to provide a intense marketing effect to provide the best possible results for our clients. The property will be marketed at the rental range and the specials as suggested by the Agent and approved by the Owner. The specifics of the rent ranges and specials will be provided to the Owner prior to the commencement of marketing with statistical data to help support the marketing decisions. We will market your property through as many as 75 websites and social media sites, providing well informed potential residents an opportunity to view high-quality photography conveniently online. Potential residents may view the property 12 hours a day 7 days a week through automated scheduling and pre-screening systems making sure the best tenants can schedule a viewing at a time that meets their busy schedule. All residents must meet the minimum acceptance scoring criteria as established for your property. This guarantees that as the Owner, your Tenant selection process will not waiver from the criteria as agreed at the beginning of the marketing process. It is critical to select the best possible tenant. High quality tenants are what establish positive investment results. We guarantee that we will execute a high-quality underwriting of your potential resident’s application to insure the information provided is accurate and validated. In the unlikely event that a resident placed and screened by Oz, breaks there lease due to financial payment issues and thereby fails to complete the initial term of the lease, Oz will place the replacement tenant at no leasing fee. Olathe is the county seat of Johnson County, Kansas, United States. It is the fourth most populous city in the Kansas City Metropolitan Area and Kansas. With a 2010 population of 125,872. By 2017, the Census Bureau estimated Olathe's population had grown to 137,472. It is the headquarters of Garmin.